I eat white bread, drink black beer and bleed green belly-washed blood. Thanks for sharing this info. I headed right over to iTunes and made my purchase. Green never ceases to amaze me. He’s really rocking out, ala Prince in “Another Lonely Christmas” on “The Last Time I Looked”. I wish I would have had time to make that trip to the Virgin Megastore in Chicago to get a CD copy of these songs. I guess it’s off to ebay for me! Wait for next Dutch date – eat that great pumpernikelly stuff, and (spelling) Hoegaarden… call it Black Bread, White Beer. As I don’t have iTunes and really don’t want to be getting into it just yet, I have asked a mate to get me this. I live in the UK and did a search on the iTunes page for this EP and found one reference to “Am I Right In Thinking”. It fails to list if it has any other tracks on it. Could anyone confirm the track listing on iTunes UK ? I downloaded the single that never was (Snow in Sun, Robin Hood, Am I Right in Thinking and When I was Happy) from ITunes UK a couple of months back. The Last Time I Looked I aleady have on the Boom Boom Bap CD. It’s my only foray so far into ITunes and as far as I remember you can purchase the tracks separately. As it’s so limited anyway, they should have done the ‘physical’ release of this with a ‘real’ felt/embroidered sleeve. Mmmm! Thanks for the replies, but I’m still no closer to knowing if the EP can be bought as a single download or if it’s even available on UK iTunes. Anyone please help ??? No it’s not on UK ITunes. You can get all the tracks individually for 79p each. Went to the Birmingham academy gig last night and its was just fantastic. An intimate, almost personal performance. With a polished set that was brimming with excellence all the way thru.Without sounding to dramatic, it was a lifetime ambition and one i wish to repeat as often as i can. To top it all off i shook his hand on the way out. Problem is -do i wash it? Songs to remember indeed!! downloaded all 3 of them. not bad for album rejects! and my young kid appreciates the lullaby pace of “When I was happy”. Once again congrats to Green and the young lads for the good music. 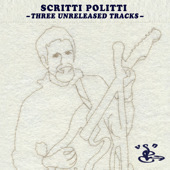 02.20 Scritti to play live April 4th! 03.24 New track from Green to drop in May! 11.25 Scritti heads to Germany: Party like it is 1979! © 2006, bibbly-o-tek.com, powered by Hemingway flavored Wordpress.